Mike Davis has another suitor. NFL.com’s Ian Rapoport reports (via Twitter) that the free agent running back met with the Rams today. The veteran previously visited the Lions. Davis, a 2015 fourth-round pick by the 49ers, was claimed off waivers by Seattle last May. 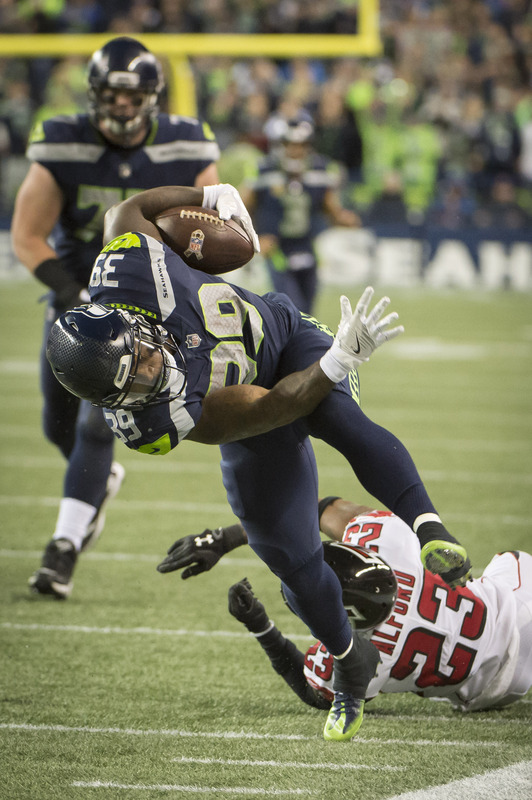 He didn’t make the Week 1 cut, but he ultimately landed on Seattle’s practice squad. In November, Davis finally earned a promotion to the varsity squad when C.J. 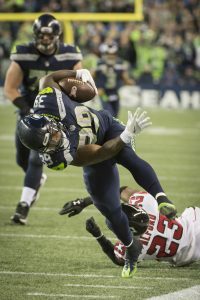 Prosise landed on IR. Davis’ stat line wasn’t overly impressive in 2017, but he did have a handful of solid games for the Seahawks. On Dec. 10 against Jacksonville, he ran for 66 yards off of 15 carries, good for a 4.4 yards per carry average. Then, in the season finale against Arizona, he had 48 yards off of ten attempts. In six games (six starts), Davis finished with 240 rushing yards on 68 carries. He also added another 15 receptions for 131 yards. The Rams could use some depth behind Todd Gurley and backup Malcolm Brown. Davis would likely compete with Justin Davis and Zach Laskey in Los Angeles.